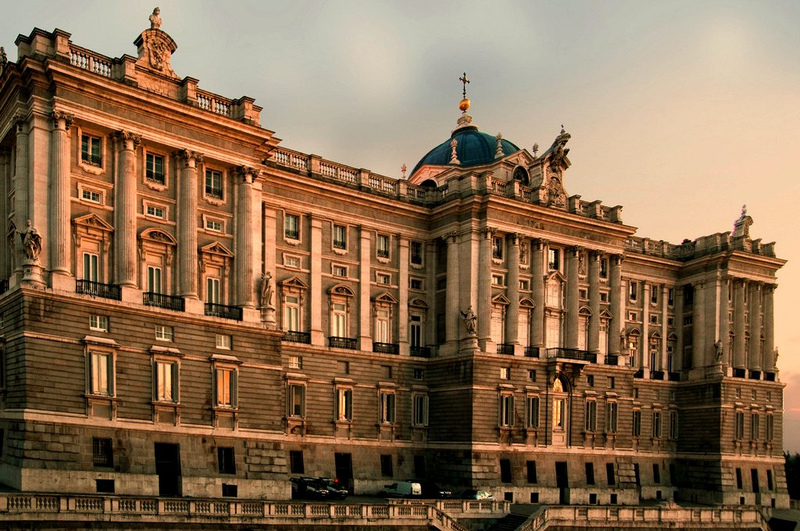 El Anciano Rey de los Vinos is a neighbor of two of the most imposing buildings in Madrid: the Almudena Cathedral and the Royal Palace. We will deal with the latter now, because there are many legends that surround it. The Palace was built on the remains of the old Muslim fortress that was erected there, and that was later converted by the in the Real Alcázar. During the building of this one it is said that a great cohort of witches and ghosts bothered and caused the death of several workers. The truth is that, since the fall of the old Arab bastion, people avoided passing through the grounds of the Palace, affirming that the cries and laments of the defenders fallen during the battle could still be heard. It is also said that between the walls of the Real Alcázar an exorcism was practiced to Carlos II. This monarch, better known as “El Hechizado”, was the victim of a goblin who lived in the building and who give the King to drink the brain of a dead man dissolved in a chocolate bowl. It is also said that the Duke of Alba met a beautiful lady in the chapel of the Real Alcázar that turned out into the Death with his scythe. Anyway, a mysterious fire destroyed the building in 1734, and the construction of the Royal Palace we know today, began 4 years later. But there are more legends. The most popular refers to one of the architects hired by Felipe V for such a great work. It was Filippo Juvara to whom, apparently, the King ordered to cut off his hands and tear out his eyes so that he could never build a similar palace. But Filippo was not too satisfied with that and his revenge was to send goblins and demons that climbed the walls of the work. So Felipe V himself ordered an exorcism. The wife of Felipe V, Isabel de Farnesio, had a dream in which Madrid was devastated by an earthquake and she herself was buried under one of the statues of the 108 monarchs that adorned the Royal Palace. That is why the statues were removed and kept until the nineteenth century when they were taken out and distributed at various points, such as the Plaza de Oriente, the Sabatini Gardens or the Retiro. If you want to feel all these mysteries up close, you only have to approach El Anciano Rey de los Vinos. We can not assure you that you see any ghost, but of course you can have a cup of our excellent wine with one of our famous cookies.